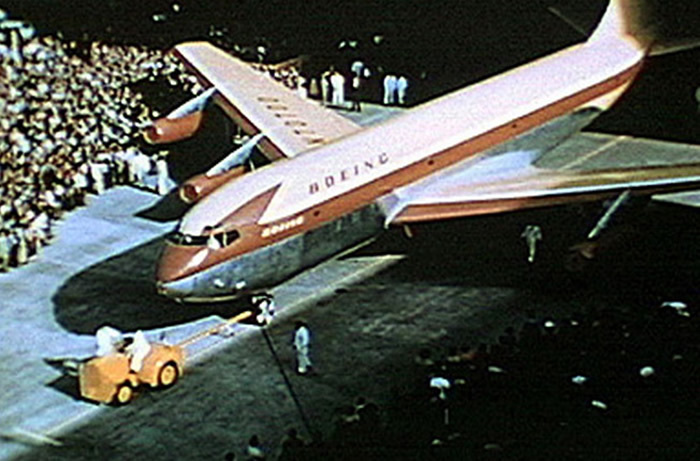 The plane lands at Boeing field and Tex gets out and starts to walk away from the plane. A Boeing official runs over to Tex and tells him Mr. Allen wants to see him now. Mr. Allen is the president of Boeing. So Tex heads off across the street to the Boeing Exec offices and into Mr. Allens office. Tex walks in. Mr Allen from behind his desk says "How are Tex...Hows the family"? Tex answers the boss. Mr Allen the says "I hear you rolled the plane today, Tex". Tex says quietly....."Yes sir I did". Mr Allen answers..."Don't do it again.......Bye Tex..say hello to the wife..". 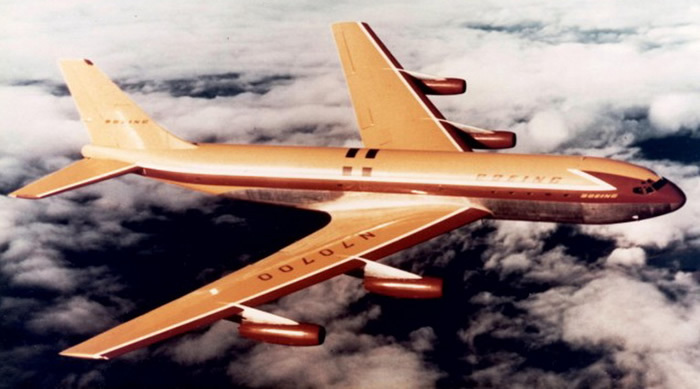 The Boeing 367-80 was the name of the "prototype" of both the 707/720 commercial transport/military tanker/military communications plane and the 717/739 (KC-135 etc) military transport/tanker. 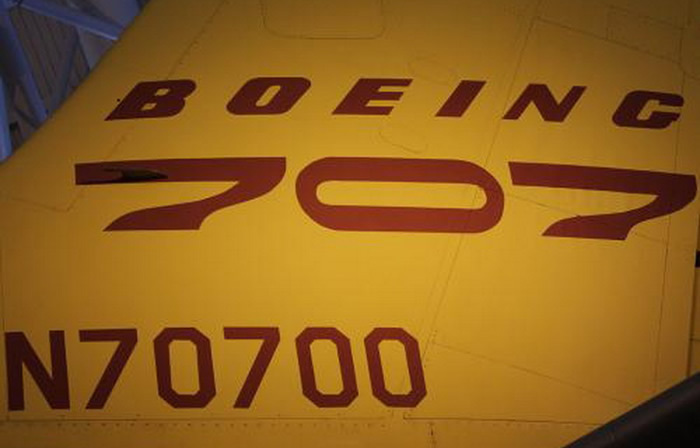 It was called the "Dash-80" and although 707 was eventually written on the tail (and it was registered N70700), it wasn't really a 707 so much as a pre-aircraft, a basic-built demonstrator. -The 707 and KC-135 look similar but beside different lenghts, have different upper fuselage lobe dimensions (ditto for the Dash-80) and different alloys. -The Dash-80 was flown in August 2003 to Washingon, where it has been permanently retired to the big new annex of the Smithsonian's museum of air and space. Here it resides with Concorde and many other important aircraft. 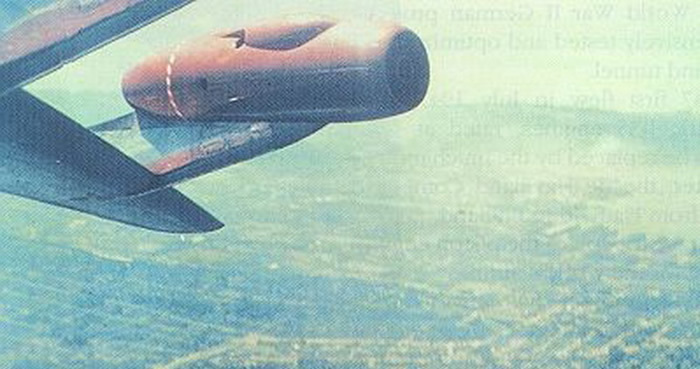 -Tex Johnston did the barrel roll and even if test pilots back then were different, the company was stunned by it and whatever the exact conversation was like, he apparently came close to losing his job. But the roll seems to have impressed the military and to have gotten Boeing the large contract for the KC-135.